I've got my hands on yet another Android toy some weeks ago and it's a Hama Internet TV Box which runs Android 2.2 and connects to your TV with HDMI. I won't go into details on what it can do because this article is supposed to help you root it. So let's get started. It's Android 2.2 (Froyo) which means z4root should be able to do the work for us. However as it turns out it only works halfway. The reason for this is that all Android devices I've worked with so far have had a single partition for /system. With this little fellow this is not the case and /system/app is using a separate partition. When trying to root the device, z4root will remount /system to read-write in order to write superuser.apk to /system/app. This will fail as /system/app is a different partition and still mounted as read-only. This means z4root actually installs the su binary with the right permissions and we just miss the Superuser app that controls who are allowed to use the su binary. So basically, to root the device all you need to do is run z4root and then install superuser.apk manually. Or install superuser.apk first and then run z4root. The order does not matter. You probably want to upgrade your firmware to the latest version before you do this because upgrading your firmware will cancel all this out. Download superuser.apk that I've extracted from z4root.1.3.0.apk and save it to your SD-card. Download z4root.1.3.0.apk and save it to your SD-card. Run z4root and select permanent root. In the next part I will show you how to install Google Play (formerly known as Market). Disclaimer: This operation will most likely void your warranty and is done completely at your own risk. I can't install any application. Could you tell me how to proceed? 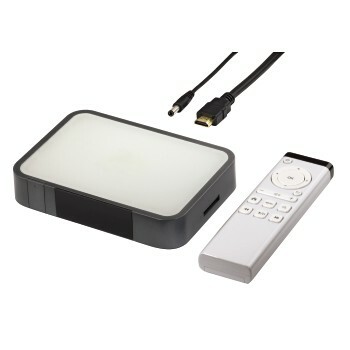 Sorry, I have not used my Hama Internet TV device for quite some time. However to install an apk manually you'll need to use a file manager or some apk installer. I'm pretty sure there was one or the other included in the Hama firmware (or perhaps even both). I love this post post and have to completely explain about tv and internet installation. I agree with your techniques and ways. Thank you assistant about it. Thanks for sharing this entertainment post! Internet TV Box. Internet TV Box. Seems like good but I get spectrum internet and they are also providing me satisfying services.